Properties in Westmere average 4.8 out of 5 stars. Property 5: Newly build luxurious apartment. Stylishly furnished contemporary home. The cottage is amazing- even better than advertised which seems hard to believe but is true. 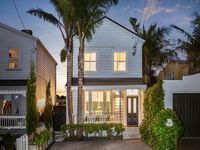 It is beautifully and thoughtfully finished with everything you might need in a home away from home and is in a great location- close to the heart of Ponsonby while still being nice and quiet at home. Accessing the property and checking out was such a breeze. I couldn't recommend more highly! Thank you for a perfect stay. We loved staying here. The location is private and secluded. Everything we needed was provided. There are lots of shops and cafes nearby. Getting to the city is easy on the frequent bus services. Our host was welcoming and helpful. Thank you for a great stay! Ann and Francis.